Milling asphalt is done by a machine that planes the pavement to a depth appropriate for the parking lot repair. 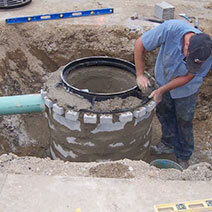 The section is generally ground down to a depth of 1″ to 2″. 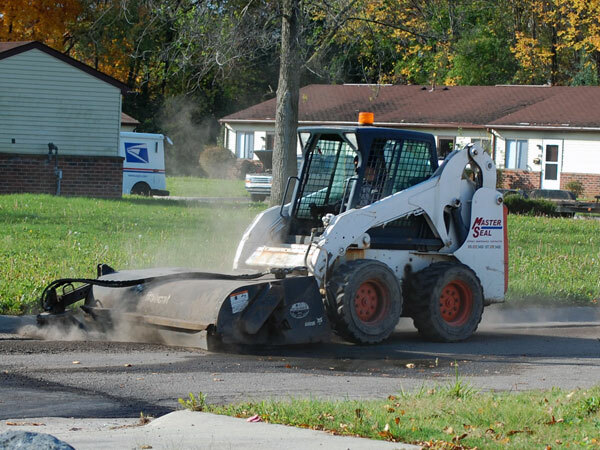 After milling is complete, the old material is then removed and disposed of. 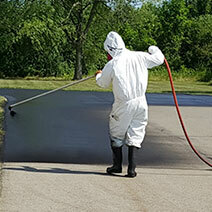 An SSI-H tack coat is applied to the asphalt for adhesion between the layers of asphalt. 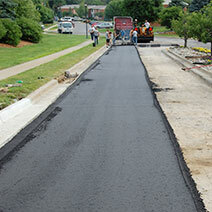 New asphalt paving is then installed to bring the failed area back up to the existing grade level. 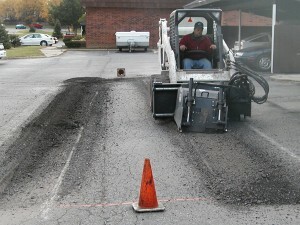 The new asphalt is then rolled to ensure compaction and level ground to avoid tripping hazards on your asphalt parking lot. 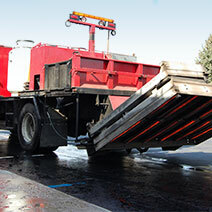 At Asphalt Management Inc. we know every industry has unique challenges that can affect project scheduling, materials, and design. 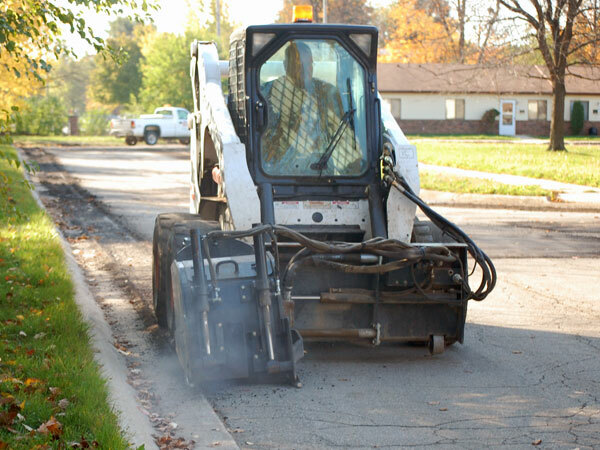 We work with our clients to find the best solution to these challenges. 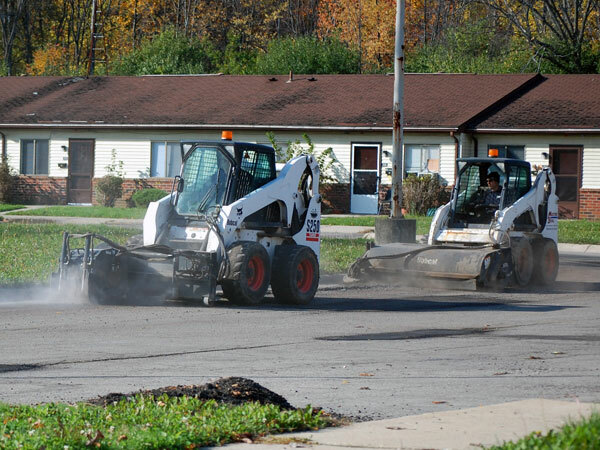 Many of our clients are open 7 days a week and can’t afford to shut down while repairs are being made. 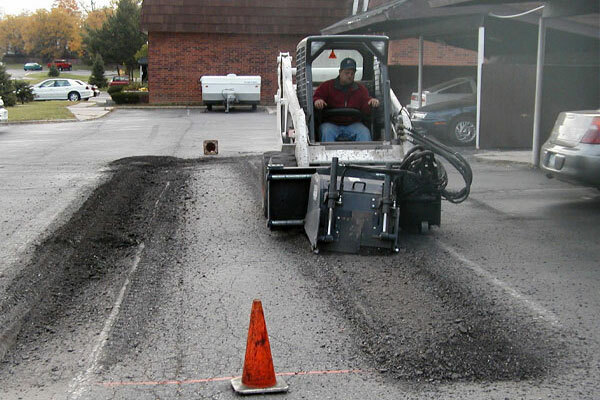 Asphalt Management Inc. has the experience of helping our clients manage the maintenance and repair process for their parking lots. 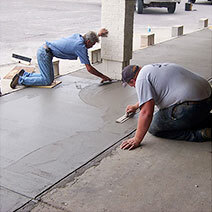 We can schedule your job in stages so access remains open through the entire project. 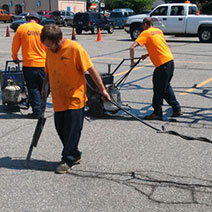 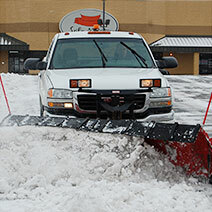 Don’t wait until your parking lot is beyond repair. 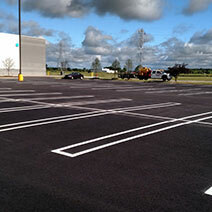 Don’t be a target for lawsuits from injuries or vehicle damage, failed adherence to ADA specifications and unprofessional or unappealing parking lot appearance.